After our first failure at public transport in Krasnoyarsk, trying to get to the hydroelectric dam at Divnogorsk, we tried again the next day with a trip to Stolby Nature Reserve. We did all of our research the night before, cross referencing our guidebook, the nature reserve’s website (through google translate), and a website which plotted trips on Krasnoyarsk’s public transport. All of these told us that we needed to take either bus 19, 50, or 78, from the bus stop outside the Opera and Ballet Theatre. We made our way there by 10.30 and waited for 45 minutes with no sign of any of the bus numbers that we wanted… It was a very busy stop with buses arriving every couple of minutes but unlike most of the other bus stops in the city it didn’t have a sign listing the bus numbers which stopped there so it felt like there was nothing else that we could check. We knew that the bus needed to cross the Communal Bridge to the other side of the River Yenisey to get to the nature reserve. The Opera and Ballet Theatre stop was just before the bridge so we’d seen all of the buses which crossed the river from there – what had we done wrong? At this point, I was almost ready to give up, but Andrew persuaded me that we should walk across the 2km long bridge and see if we could spot a bus going in the right direction from there. At the other end was a large roundabout, we crossed a couple of side streets and made our way to the main road which had a bus stop very close to the roundabout. Almost as soon as we got there a #19 bus arrived – hurrah at last! We got on, paid for our tickets and checked with the conductor that the bus went to Stolby receiving a nod in response. 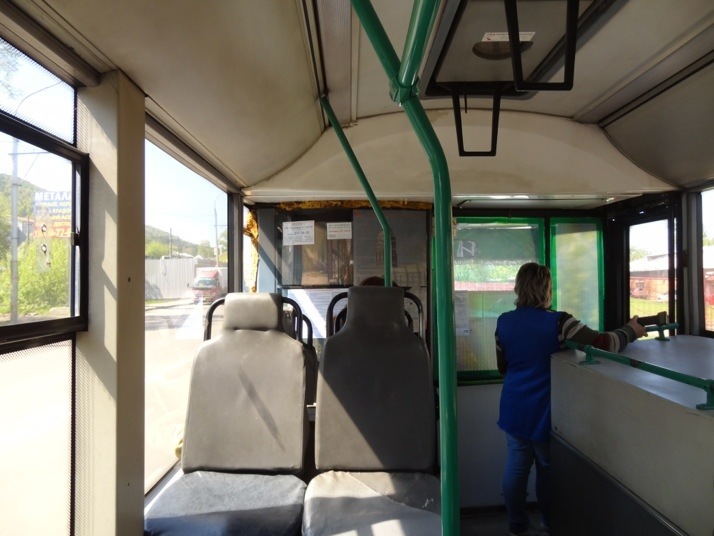 After about half an hour on the bus, we checked again with the conductor, yes, she told us, four more stops. As we got off, she indicated to cross the road and told us 7km to the nature reserve. Great, that tallied exactly with the information about the reserve that we’d read. As we walked up the road opposite the bus stop, we were a bit surprised to see no signs pointing the way, but this is Russia and things are not always as clearly signposted as we’d like… After about 10 minutes of walking the road forked, again with no sign as to which way to go. After some debate, we took the rightmost, clearer track which passed behind some houses. Again, after a short walk, the clear track turned to the right with a footpath leading to the left. We knew that we needed to be heading uphill which meant taking the footpath. Hmm, it didn’t feel quite right that there wasn’t road access to the entrance of the reserve… We headed up the footpath anyway and after a short walk came to a clearing in the trees with a stunning view up the valley. Down below we could see a road leading through the trees heading in the direction we wanted – that’ll be the road we should be on then! We headed back down to the main road and a short distance along found the access road with ‘Stolby Nature Reserve’ sign at the entrance. By this point we’d wasted another hour, and with a 7km walk ahead of us before reaching the park we knew that we wouldn’t have long there before we had to come back. But it’s OK, the story has a happy ending and the day quickly began to improve. 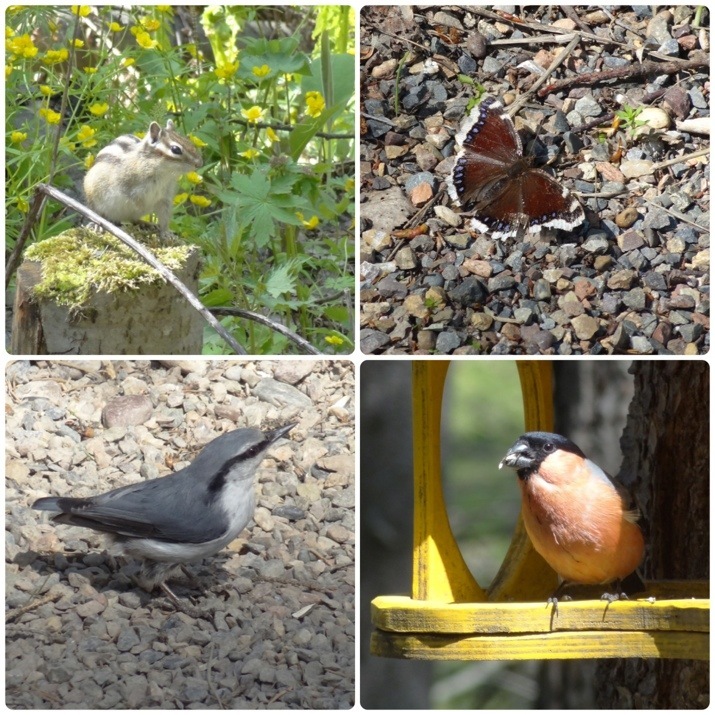 Within a few minutes walk up the path we started to see wildlife – a woodpecker, Siberian chipmunks (very cute! 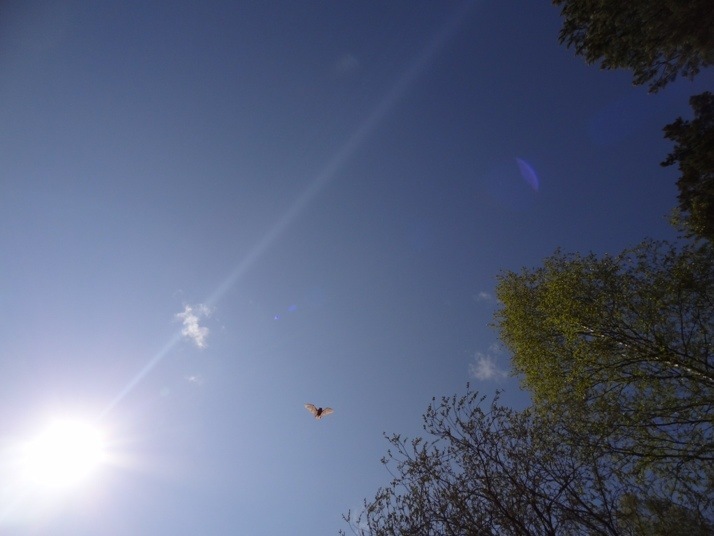 ), butterflies, lots of different birds on a path side feeding table and even a small bat! Stolby is the Russian word for ‘pillar’ and the nature reserve takes its name from the giant boulder formations which litter the hill. 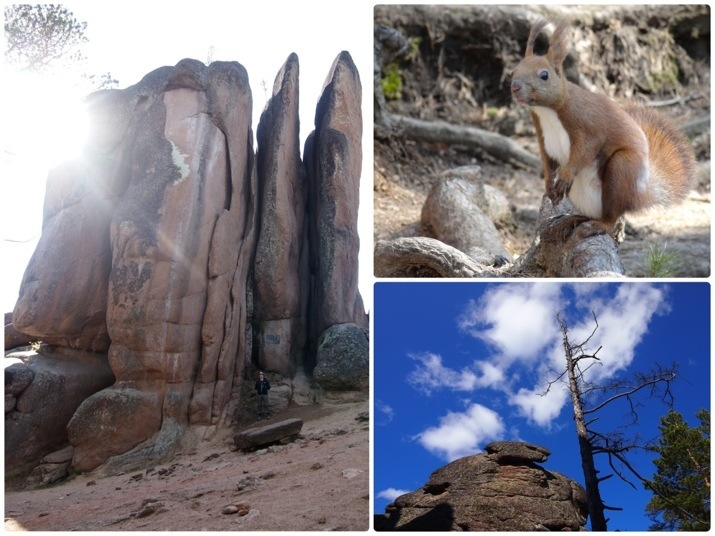 They are similar to the ‘Kamennie Palatki’ in Yekaterinburg, and also reminiscent of Brimham Rocks in North Yorkshire. The path to the nature reserve is described in our guidebook as ‘a gentle uphill walk’ and it does start that way, but the last couple of kilometres are pretty steep. That, coupled with a long flight of stairs up to the first pillar, meant we could definitely feel our calf muscles the next day! Locally, the pillars are popular with rock climbers, and many of Russia’s best rock climbers have come from Krasnoyarsk region having grown up with the Stolby. 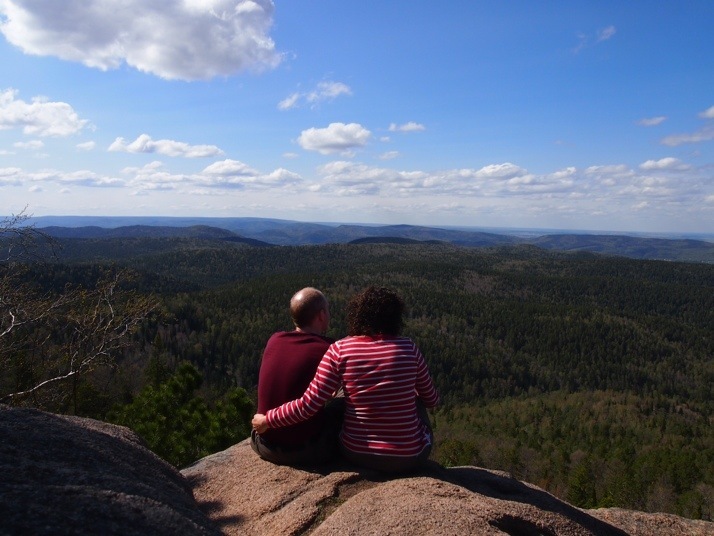 We tried a bit of rock scrambling ourselves and were rewarded with an incredible view. On the way back down to the road, we had another treat in store. 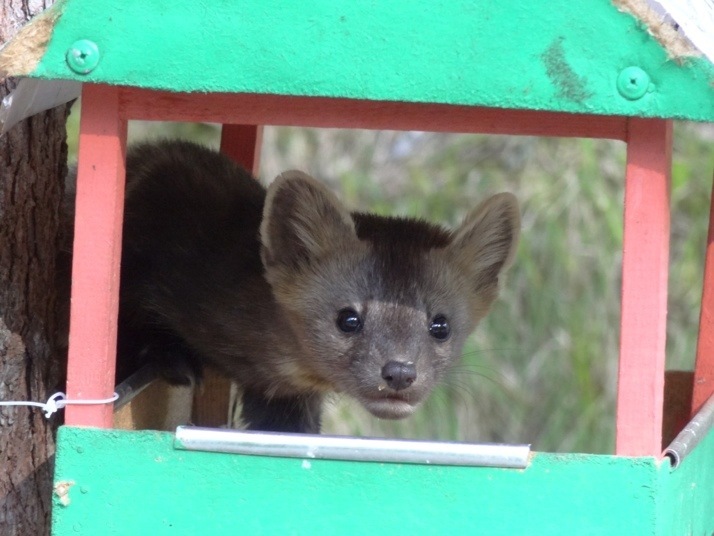 We were approaching one of the feeding tables and saw what we thought was another squirrel munching through the sunflower seeds, but as we got closer we saw that it was a sable! Once highly prized for their fur, these animals are usually very shy. After a frustrating start, the day turned out really well. 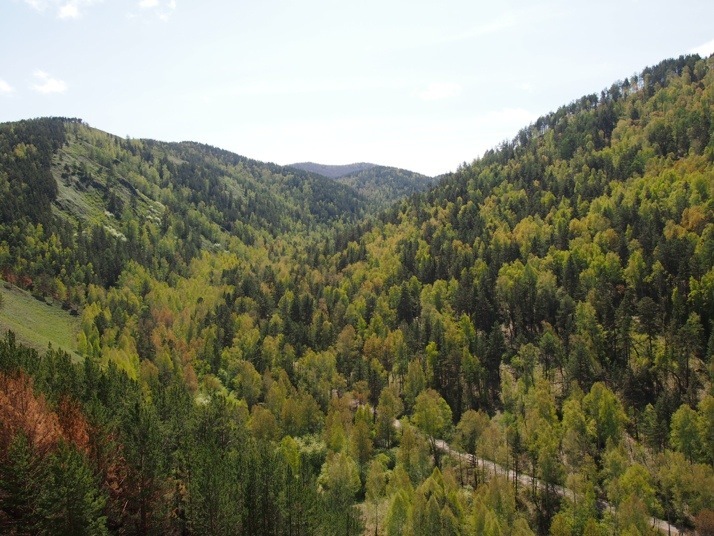 This entry was posted in Places and tagged climbing, Krasnoyarsk, nature, Russia, wildlife on June 10, 2013 by Julie. Just how knackered were you by the end of the day? Quite jealous, beautiful scenery and wildlife wish we were with you. You would love it. It was so beautiful and peaceful with hardly any other visitors during the week although I think it gets quite busy on a weekend. The feeding stations are a really good idea so that it’s possible to see the birds without binoculars. But I expect there are lots more that you would see with binoculars! I’ll be trying it tomorrow. I’ve never hiked before, and I’m not really active. So I’m anxious. However, I’m leaving soon and got the invite today. What is 19 + 22 ?